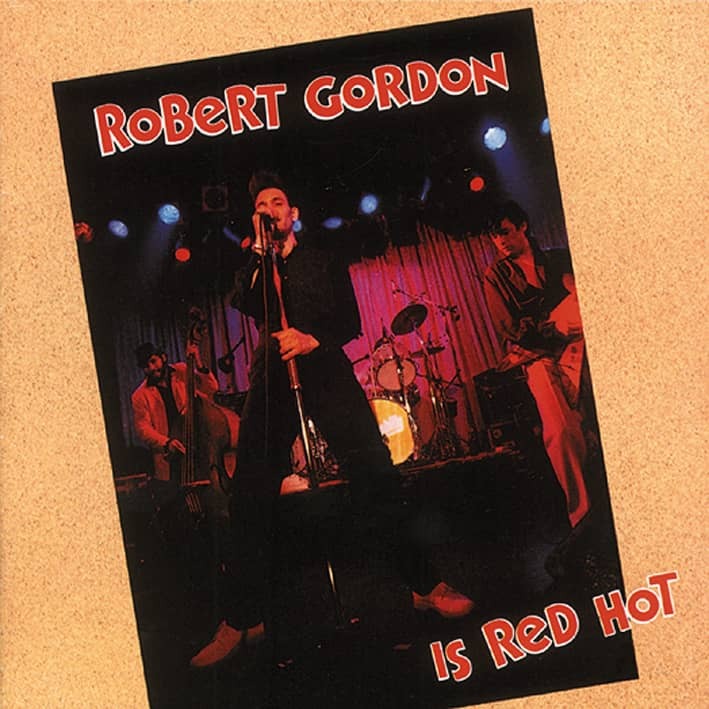 Robert Gordon was the only rockabilly revivalist to take the old music and do something new, fresh, and original with it. He let the music grow and evolve instead of keeping it stuck in 1955. Back in 1990, we issued two volumes of Robert's RCA and Private Stock recordings. At that time, we tried to locate the missing album without success. We've since found them, and they form the cornerstone of this stellar new collection. There are 10 previously unissued songs, featuring the lead guitar of Chris Spedding und Danny Gatton. Then, to round out the set, we've included 11 tracks from 1977, 1978, and 1980 that weren't included on our first two CDs. Titles include songs like Suspicion and Endless Sleep, plus Link Wray originals like If This Is Wrong and It's In The Bottle, plus new songs in the old style like Sweet Surrender and Movin' Too Slow. The cat is back. He still won’t call himself a rockabilly singer, but if anyone is to carry rockabilly’s primal yawp into the next millenium, it will be Robert Gordon. Even without a regular band, his recent live shows have been like a Second Coming for anyone who cares about the shaking music. Bookers talk of a kinder, gentler Robert Gordon these days. He isn’t making them quite as nervous as the Robert Gordon of old. 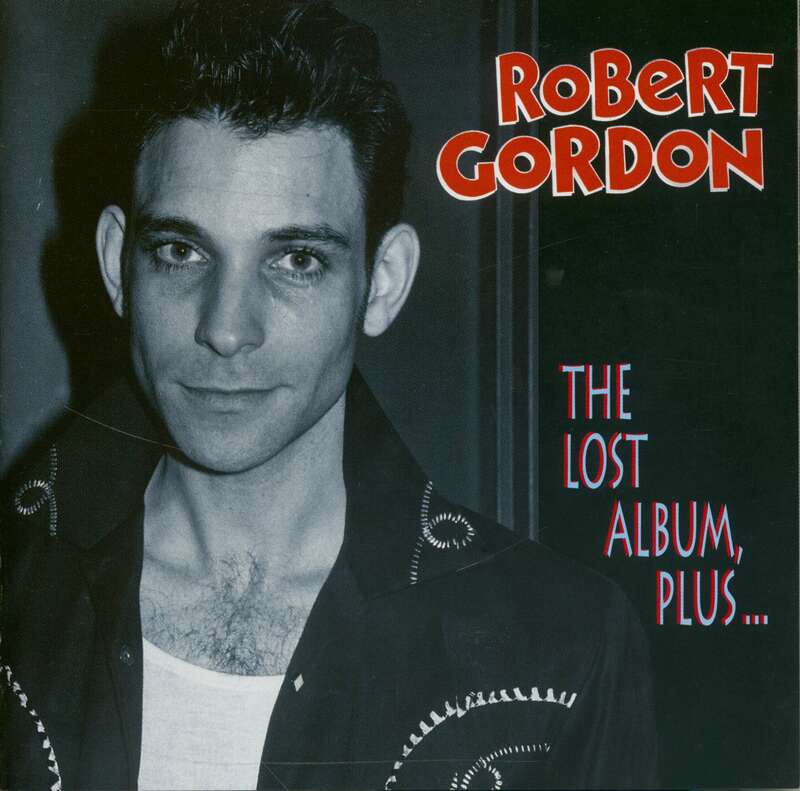 Incredibly, it has now been more twenty years since Robert Gordon announced himself with mid-Fifties rockabilly music delivered with late-Seventies punk attitude. Over the course of the next few years, it looked as though Robert Gordon might indeed be the next big thing. This, you must remember, was at the time of prog rock’s grizzliest excesses and disco. How refreshing to hear songs that didn’t pretend to say anything about the human condition, and said it in less than three minutes. Then, when Robert’s original record company, Private Stock, went belly-up, he was signed by RCA, the very label that had lost the King of Rock ‘n’ Roll just a year before. Somehow it didn’t quite happen. American radio didn’t bite, and if American radio doesn’t bite, the game’s over in commercial terms. Two singles got to #83 and #76, and that was it. Along the way, Robert Gordon attracted three stellar pickers, Link Wray, Danny Gatton, and Chris Spedding, all of whom can be heard here (Wray, incidentally, is now growing old disgracefully in Denmark, Gatton committed suicide, and Spedding is in Los Angeles, working sessions, and still making occasional tours with Robert). The original records still sound freshly minted. For proof, consult our two previous Robert Gordon CDs (BCD 15446 and 15489). Now we’ve finally found ten unissued recordings that were thought to have been lost forever in the bowels of the RCA tape vault. To those we’ve added ten recordings and mixes that didn’t see light-of-day on our other Robert Gordon CDs, among them a menacing version of Endless Sleep and several songs by the Wray clan, including Woman (You’re My Woman), It’s In The Bottle, and the gorgeously underproduced Blue Eyes (Don’t Run Away). Robert’s best shot came in 1978 when he released Fire. Not only was it a great song, but it was written by the artiste du jour, Bruce Springsteen. God knows why Springsteen didn’t cut it himself, but he didn’t. He gave it to Robert, and even showed up to play piano on the date. With that kind of pedigree and buzz, you’d think that Fire wouldn’t stop short of the Top 10. It didn’t disappoint; it got all the way to #2--but by the Pointer Sisters. The original single mix is here, together with the single mix of the preceding single, Frankie Ford’s Sea Cruise. In this case, ‘single mix’ means the addition of horns and chorus in an attempt to fatten up the sound for what was then the mighty God of AM radio. That was 1978. At the end of that year, Robert signed with RCA. “RCA has always been like a fantasy to me,“ Robert said at the time. “They really exposed this kind of music to the masses. It’s a sort of natural move.“ Two albums followed, but neither achieved the big breakthrough. By June 1980, it was make-or-break time. Robert went into the Record Plant with Chris Spedding and Danny Gatton and laid down twelve tracks, only two of which, Marshall Crenshaw’s Something’s Gonna Happen and Wasting My Time, were released. The rest, featuring Robert and small group. Those ten buried tracks now resurface here. While they’re stripped down and unfinished in the technical sense, they’re true to the essence of Robert Gordon’s music. Fans will have no problems recognising the Elvis/Terry Stafford hit Suspicion or Lennon-McCartney’s Run For Your Life, but the others were mostly originals gathered together by Robert and his producer, ex-Strangelove Richard Gottehrer. Gatton and Spedding probably intended to re-do their guitar parts at some point, but it’s still well worth listening for their solos on Girl Like You and So Young, So Bad. RCA didn’t hear anything they liked in the tracks, so Gottehrer was canned and Robert was brought back to the Power Plant later that year with new producers, and the tacit understanding that this was the last shot. Another Marshall Crenshaw song, Someday Some Way, from the Power Plant sessions crept into the lower reaches of the charts. 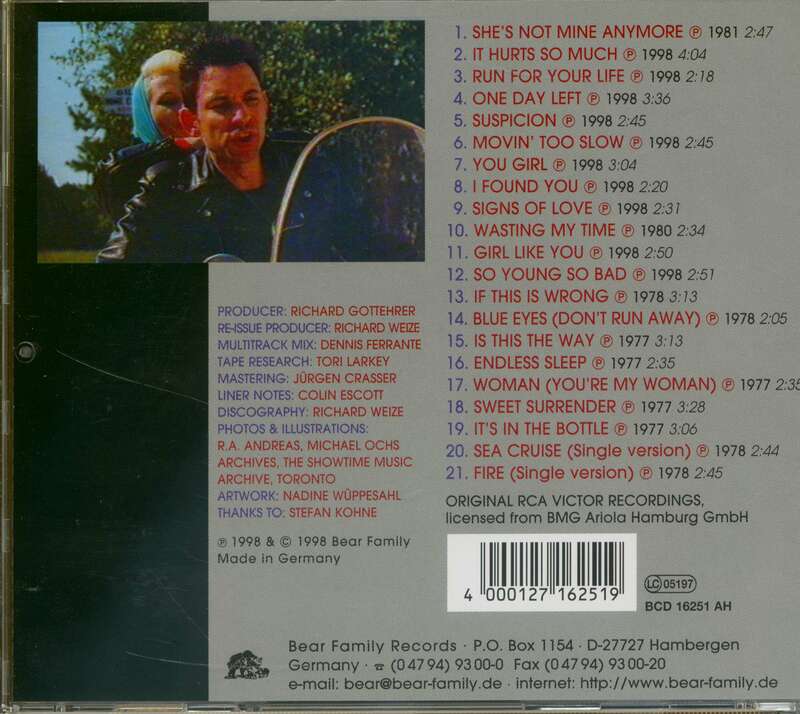 An album, ‘Are You Gonna Be The One’ briefly hit the racks, and then it was over for Robert Gordon and RCA. By all accounts, Robert went into a tailspin. Chris Spedding departed in late 1980 to work with a band called the Necessaries. There were rumours of contraband substances, and, for a while, Robert Gordon appearances were few and far between. There were tours of Japan and a few other outings, but they weren’t well reported. Through it all, though, Spedding could usually be relied upon to make an appearance. In 1995, Robert was sidelined by a vicious mugging on Thanksgiving Day, but then a new album appeared, and Robert Gordon began making the clubs again. Anyone who wants the Robert Gordon story is directed towards the two previous CDs. Like this, they’re wall-to-wall good stuff with that edgy, snarly sound that isn’t quite rockabilly but certainly isn’t anything else. For those too young, or those who simply want to blot out a particularly wretched period of music history, you have to remember that these recordings originally appeared during the disco era. Around the same time, prog rock was taking its long overdue last gasp and punk was coming and going. These recordings were part of a vain rearguard action on behalf of music that had melody, guts, and didn’t sound as though it had been preassembled. In the end, American radio gave it a double thumbs-down. Too retro. So what’s wrong with that? Anyone who wants the Robert Gordon story is directed towards the two previous CDs. Like this, they’re wall-to-wall good stuff with that edgy, snarly sound that isn’t quite rockabilly but certainly isn’t anything else. For those too young, or those who simply want to blot out a particularly wretched period of music history, you have to remember that these recordings originally appeared during the disco era. Around the same time, prog rock was taking its long overdue last gasp and punk was coming and going. These recordings were part of a vain rearguard action on behalf of music that had melody, guts, and didn’t sound as though it had been preassembled. In the end, American radio gave it a double thumbs-down. Too retro. So what’s wrong with that. "I live rock'n'roll," says Robert Gordon. "My clothes look it, and my apartment looks it, too." When Gordon first burst on the music scene in 1977, it was the second attempt by someone in the industry to try to fuse the music of the 1950s with the contemporary rock of that time. With the advent of promoter Richard Nader's Rock'N'Roll Revival Tours in 1969 and 1970, respectively, new and young audiences were being introduced first hand to the music of a generation before. It included the classic rock'n'roll of Little Richard, Jerry Lee and Chuck Berry. return of Elvis around the same time helped give it more momentum, and the emergence of Sha Na Na took it even farther, even though it was done as a parody. 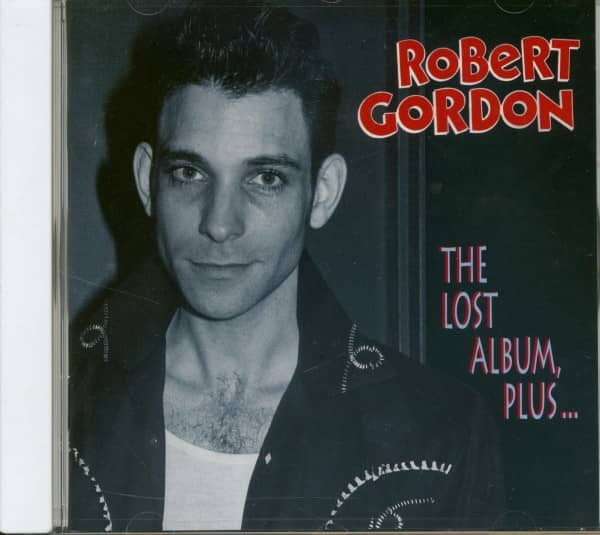 Robert Gordon showed up on the scene later in the decade, with a six inch high, jet black pompadour hair style and a clear, rich rock'n'roll baritone voice which he used to sing some of the best rockabilly, classic rock'n'roll and R&B we'd heard in years. With him, he had guitar icon Link Wray, a 50s rockabilly pioneer, thus lending credibility to his procedure. (Wray would eventually leave Gordon's project to resume his solo career. and would be replaced by ace British axeman, Chris Spedding, who appears on these recordings). Gordon and his 1977 debut, Robert Gordon with Link Wray, is arguably as good an LP, as any of the rock'n'roll roots music it so carefully paid tribute to. This raw and compelling King Biscuit Flower Hour recording was made in Philadelphia in 1979, while Gordon was on tour to promote his RCA Records debut, Rock Billy Boogie. His band at this time included British ace axeman Chris Spedding (known for his work with the riff rock band Sharks), bassist Tony Gamier (from Asleep At The Wheel) and drummer Bobby Chouinard, who later became a long time member of Billy Squier's band. That band is incredible," says Gordon. "I kept them together for 15 years, and I am certain we will work again in the future.- This KBFH is not only one of the best live recordings ever captured of Gordon, it is also a tribute to Presley, clearly the King of Rock'N'Roll in Gordon's eyes and the other great acts of the rockabilly era. (In this show, he covers Presley standards including "Blue Moon Of Kentucky", "I Forgot To Remember (To Forget)", and "Mystery Train.") This KBFH broadcast was essentially a lesson in Rock History 101. It excels with Gordon's send ups of some of rock'n'roll's best material from the 50s, presented in a contemporary setting. Though Gordon was often viewed by many as a modern rockabilly act, he was careful never to get locked into that or any other specific category. On these tracks Gordon not only revived the legacy that was the 1950s rockabilly scene, but, at the same time, made it relevant to young audiences who were discovering punk and older audiences who listened to acts like Springsteen and Tom Petty. To say Gordon was trying to emulate Presley wouldn't be fair. but. on the other hand, Gordon never stopped paying tribute to him both on record and in the live show. To Robert Gordon. Presley was rock's only true king. "(The comparisons to) Elvis Presley are flattering to a point," Gordon told a journalist in 1979, "I have the utmost respect for him; and he's the king, but I'm not imitating Presley. I've had a lot influences: Gene Vincent. Jack Scott, Hank Hamilton,. It's just the style I sing in. I'm not trying to start a movement; I just want a hit record, man." "Gene Vincent was just incredible," he says these days. "He and Elvis are my main influences. People need to remember, I was singing those songs this way before people started doing Elvis imitations. I remember hearing 'Heartbreak Hotel' when I was a kid and just flipping out. After that, I just sort of searched out that material." Rockabilly is rebellious rock music, equally fused from country and R&B, and existed primarily between 1954 (when Presley recorded ''That's Alright Mama" for Sun Records) until about 1960. Born and raised in the Bethesda/DC area in 1947, Gordon formed his first group, The Confidentials, at age 14. That group eventually became The Newports, and by the age of 17, Gordon was a regular in the DC club circuit. In 1970 Gordon moved to New York City, where he felt he could best realize his vision of being an established rock performer. Until his first successful rock band. Tuff Darts made its presence known in the new wave club scene of 1976, Gordon stayed alive by working in a leather goods store. Tuff Darts saw only limited success (the band's big break came when it appeared on an Atlantic Records compilation of unsigned CBGB bands). Though Gordon was never comfortable singing new wave, The Darts gave extensive exposure in the New York music scene. "Tuff Darts was like an introduction to the New York scene for me and that's all it was. I was not into that kind of music, but I was going through some personal things at that point that enabled me to sing sort of sadistic lyrics." In 1977, an up-and-coming nationally distributed indie label, Private Stock, offered Gordon a solo deal. His first LP, Robert Gordon With Link Wray, was a critical smash and respectable seller. He saw even greater success with 1978's Fresh Fish Special (and its original version of Springsteen's "Fire"). before RCA moved in and bought out his contract. For Gordon, the affiliation with RCA brought with it a sign of personal accomplishment. After all, this was not just a major label, it was the home of Elvis. And just as RCA had bought out the rights to Presley's eal:y Sun masters, RCA did the same with Gordon's LP s on Private Stock. "I don't want to dwell on that Elvis thing and the fascination with being on RCA at the time," says Gordon, today. "because I have done so many other things. We were trying to re-create a rockabilly sound. but I had a contemporary sound because I had Chris Spedding. A lot of people jumped on the rockabilly thing. but I definitely did it first." In 1981, MTV was launched, but unfortunately, the powerful new medium never embraced Gordon. Instead, it would take the younger and more fashion conscious Stray Cats to platinum status. This was a heavy period. We got tons of airplay and we worked consistently. Unfortunately, it was right before MTV, because that would have put us right over the top. -That was the case with The Stray Cats. They certainly cashed in on the whole thing. I remember them coming to see us before they were called The Stray Cats." Around the same time, Gordon went into the studio with producer Scott Litt (of REM fame) to make, Are You Gonna Be The One?, an album of more contemporary songs (three of them written by then-unknown Marshall Crenshaw). It was been considered by many to be his best studio album, but sadly, RCA failed to get behind it and the record died at retail and radio. He spent the next dozen years recording a few more LPs for RCA. and touring throughout the U.S. and Europe. 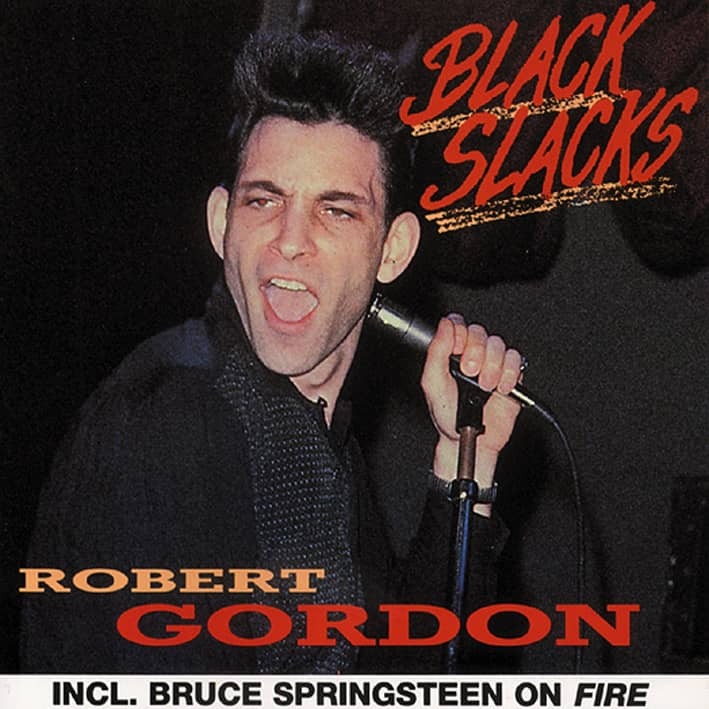 Gordon assembled a mish mosh of outtakes, newer material, and re-makes of Tuff Darts songs on an LP called All For The Love Of Rock'N'Roll on Viceroy Records in 1994. "It was a bit confusing," he admits, today. "The re-recordings of the Tuff Darts songs were a bit out of context to the rest of the album." "I am writing now, and I wasn't writing back then," says Gordon. "That's the difference. I still do all the older stuff in my live show, but I have a lot of newer material. I write a lot now, and essentially I just want to focus on great songs that could be hits. I don't care what genre it is." "We were never a 50s act," says Gordon of this period in his career when this King Biscuit show was taped. "We were always a contemporary band. It was never designed to be a retro-act. We just played off that rockabilly sound. It was considered breaking new ground back then, and that's the way I approached it." Customer evaluation for "The Lost Album, Plus..."